and was awarded an Honorary Diploma by the Kodaly Academy and Institute in Chicago. and has had an extensive career as an instrumentalist, composer, conductor and arranger. Euphonium Concerto, and Legends of the Old Castle are published by C.F. Peters. in their March, 2002 issue of "Fine Music" magazine. reviews / press reports page. with never a dull moment. This is clever stuff!" 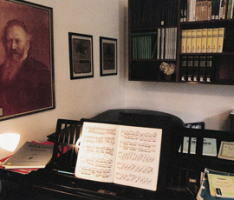 work is a cycle of 5 songs for low voice and orchestra based on Bracegirdle's own original texts. The texts were inspired by scenes and experiences near Lake Ammer in Bavaria. and the soloist was the French-Australian baritone Didier Frederic. American Wind Symphony Orchestra under the direction of Robert Boudreau. with as much passion and flair as the trombone. brass band medium, had been neglected in the genre of the orchestra. 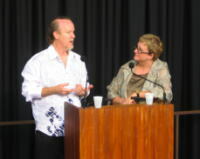 as part of the orchestra's 2008 "Meet the Music" concert series. "Bracegirdle has come to the Euphonium's rescue! - jubilation / colourful, ingenious orchestration"
"an evocative new work destined to occupy a special place in the instrument's repertoire"
for the Australian Chamber Ballet, where Lee is Musical Director and Composer-in-Residence. 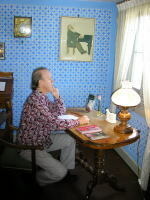 Eat Pianist is based on a comedy/horror/suspense/cabaret story developed by Mr. Dimitrievitch. based on a contemporary interpretation of the classic Greek mythology. 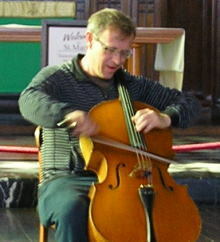 The stately 3/4 rhythm of the ancient street-dance "passacaglia"
scored for solo-double bass, strings, winds, orchestral percussion and drum kit. the American Wind Symphony Orchestra..
and by the sounds of the aeolian harp, or "wind-harp" installed in the Knights' Hall of the castle. 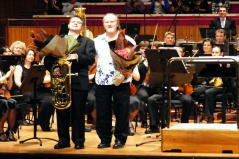 the premiere in July, 2014, conducted by Simone Young. performed the European premiere of "Legends" in the place where the inspiration for the work arose. world of medieval sagas by Mr Stickney's dramatic interpretation. former concertmaster Michael Dauth was premiered in May, 2015.
under the direction of chief conductor Alexander Briger. and in the Parramatta Riverside Theatre. based on philosophic poetry on the subjects of life, love and death. during his 2014 residency in the Brahmshaus, Baden-Baden. a solo work for Saxophone and Orchestra. placed astride a larger, more developed middle section. The soloist will be called upon to play alto and soprano saxophones. artist Arthur Boyd, selected Lee for their "Artists-in-Residence" program in 2003 and 2013. 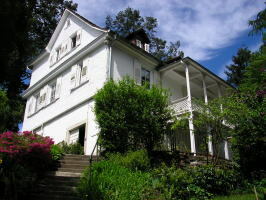 "the beautiful house on the hill" was his summer residence from 1864-1875. "continue Brahms' tradition of aiding of young artists in their creative development"
Legends of the Old Castle and Shoalhaven-Lieder.